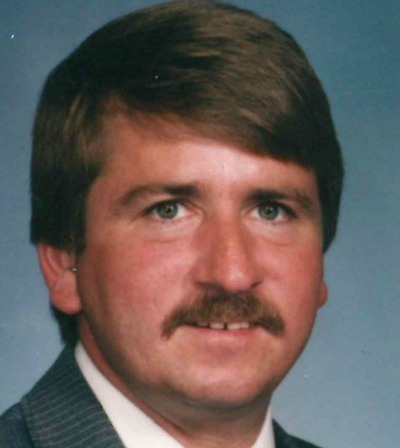 Roy Thomas “Tom” Bender, 61, of Millersville, passed away on Saturday, November 4, 2017 at Hospice & Community Care. He was the loving husband of Wendy Bender, with whom he celebrated 26 years of marriage on June 9, 2017. Born on July 9, 1956 in Lancaster, PA, Tom was the son of Doris Huss Bender and the late Roy M. Bender. He attended J.P. McCaskey High School and was the owner of Dantro Associates, where he worked for over 40 years. Tom enjoyed going to car shows and showing his red 1967 Corvette. He also enjoyed yard work and going to the beach. He was a handyman to his family and anyone in need of help. In addition to his wife, he is survived by a loving extended family. Relatives and friends are respectfully invited to attend a memorial service at DeBord Snyder Funeral Home & Crematory, 141 E. Orange Street Lancaster, PA 17602 on Wednesday, November 8, 2017 at 3:00 pm. Friends may greet the family from 2:00 pm until the time of service. In lieu of flowers, contributions in his memory may be made to Hospice and Community Care, 685 Good Drive, P.O. Box 4125, Lancaster, PA 17604-4125. We Are So Sad To Here About The Passing Of Our Friend Tom. We have alot of fond memories from over the years. We are praying for the family. God bless you all. I’m very sorry for your loss, my heart goes out to his two children Tommy and Jenn and his 4 grandchildren and all his siblings and his wife Wendy. He is now pain free no more suffering. My heartfelt sympathy goes out to the entire Bender family. Sending prayers to his wife Wendy, mother Doris, two children, Tommy, and Jenn, grandchildren, Elina, Trey, Jada, and Tayler, and his siblings, Carolyn, Cindy, Debbie, Diana, Roy, Bonnie, and Karen to help you all through this difficult time. Tom was a good person and a hard worker. He was handy, and willing to offer help when ever someone needed it. I had the pleasure of growing up with the Bender family and then Tom married my cousin Brenda and was part our family for many years. I knew Tommy growing up in Lancaster we use to run around together. My deepest condolences go out to his children Tommy and Jenny and his grandchildren. May he RIP He is now pain free. I am so sorry the loss of your dad Jenn and Tommy. May the Lord guide you through this difficult time. Prayers are with you and the family. I cannot put into words how sorry I am. He will be missed. I am so sorry to hear about Tom. You and your family are in my thoughts and prayers. I’m so sorry for your loss Jenn & Tommy. Knowing he is now pain free will hopefully bring you peace. My thoughts and prayers are with your family. I’m so sorry to hear of Tom’s passing. Please accept my deepest sympathy. I went to school with Tom and my family (The Stetter family) lived on Poplar Street in Lancaster and were friends with Tom and his family. I am so sorry about your loss of Tom! You are in my thoughts and prayers! He was a real fighter thru all this! I am here if and whenever you need someone to talk too! Thank you! So very hard! Our thoughts and prayers are with you! If you need anything Wendy…please call us! Thank you guys! I will call. Our prayers go out to the Bender Family. May his memory be eternal. Wendy we are so sorry for your loss you are in our thoughts and prayers. Deeply sorry for your loss Wendy. Tom was a great friend for many years.